Keenan Excavating Co. works hard for YOU! Keenan Excavating Co. provides superior professional earthwork and site development. 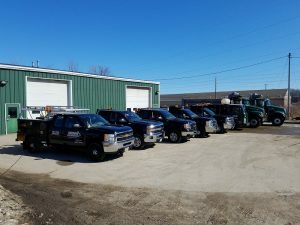 Serving both commercial and residential customers, we treat each project as our own, and aim to work quickly and efficiently on every project of every size. 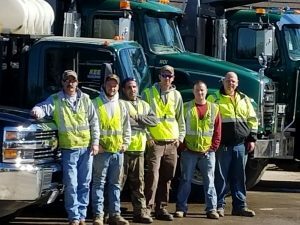 We have worked on hundreds of projects throughout Southern Maine including homeowners and building contractors, engineering firms and commercial developers, municipalities, and septic and plumbing contractors. At Keenan Excavating Co., our reputation matters to us and employs only the best individuals, with appropriate licensing and training. We are commercially licensed and fully-insured, because we take our business and the safety of our crews and customers seriously. From excavating to grading, drainage and utility systems, to single house foundations and entire development site work – we can help you. Frank Keenan III started Keenan Excavating in 2006, and for the last 12 years has been delivering on his promise to customers – Working Hard for You! His team of experienced and dedicated crew members treat every project with the highest level of professionalism, getting the job done right the first time. Please be sure to check out our Project Portfolio!